Guernsey Smallholders will hold an egg show contest at La Viaer Marchi in Saumarez Park, Castel on Monday 6 July 2015 (see below for the photo gallery, results and judge's comments from last year - thanks to Agnès Perry for some of the images). 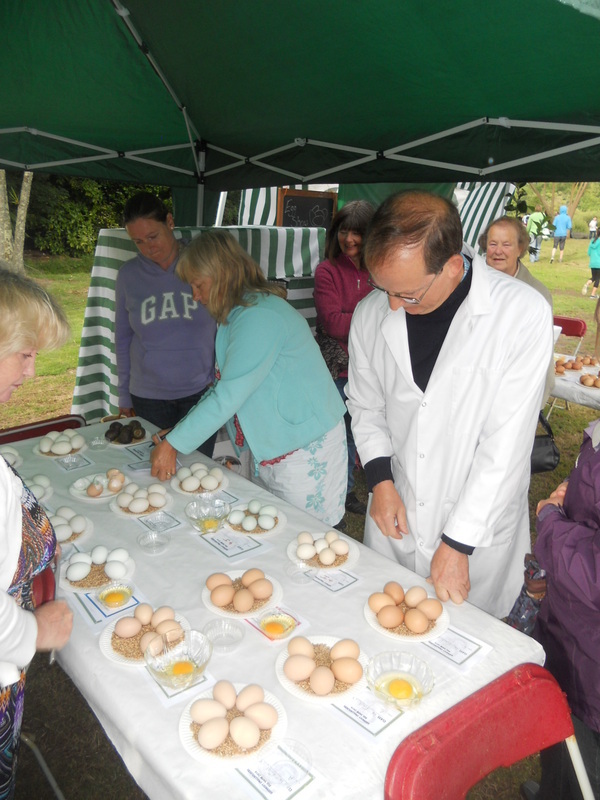 This event is open to poultry keepers from any parish to show their own eggs, and is free to enter. Each contestant can submit two entries per class and the entries will be judged by local enthusiast Roger Burton - there will be small cash prizes for the winners. ﻿﻿Eggs can be submitted for showing in two ways; taken directly to the show by 6.00 pm, to the Guernsey Smallholders tent, or delivered the day before the show to La Vieille Ecole, Church Lane, St Sampson's (it's the last house on the left before the lamp post). 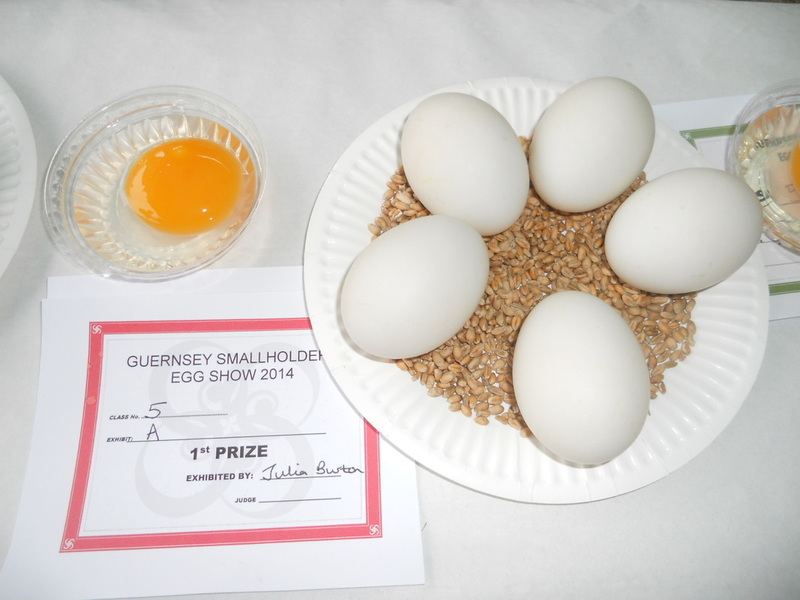 Please deliver your eggs in egg boxes taped closed, with your name and telephone number inside. 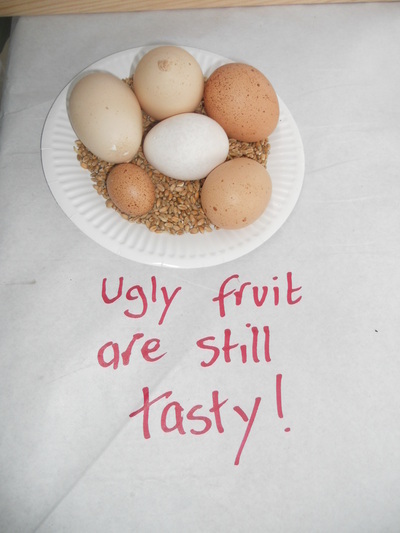 There will be a box by the door marked with a sign for you to leave your eggs. 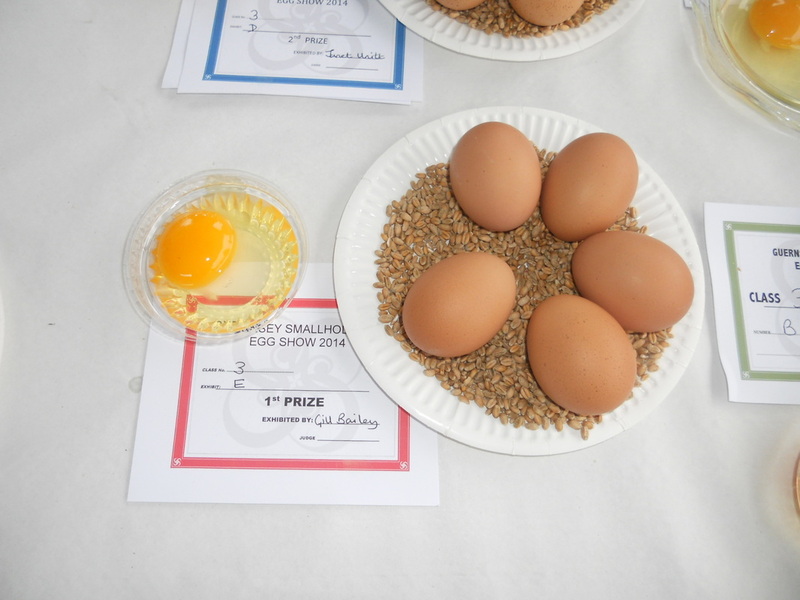 Judging will take place at 6.15 pm, so if you're bringing your eggs to the show please get them there in good time . 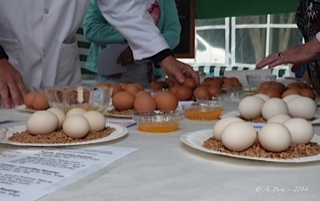 Your eggs will be allocated to an entry class and given an entry number (remember - you can submit up to two entries per class). 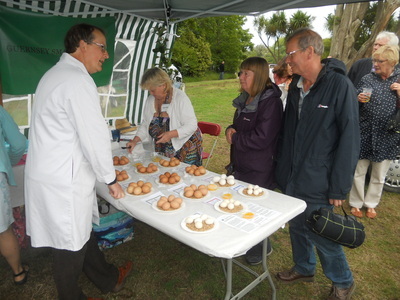 The eggs will be identically staged by a member of Guernsey Smallholders at La Viaer Marchi for judging. 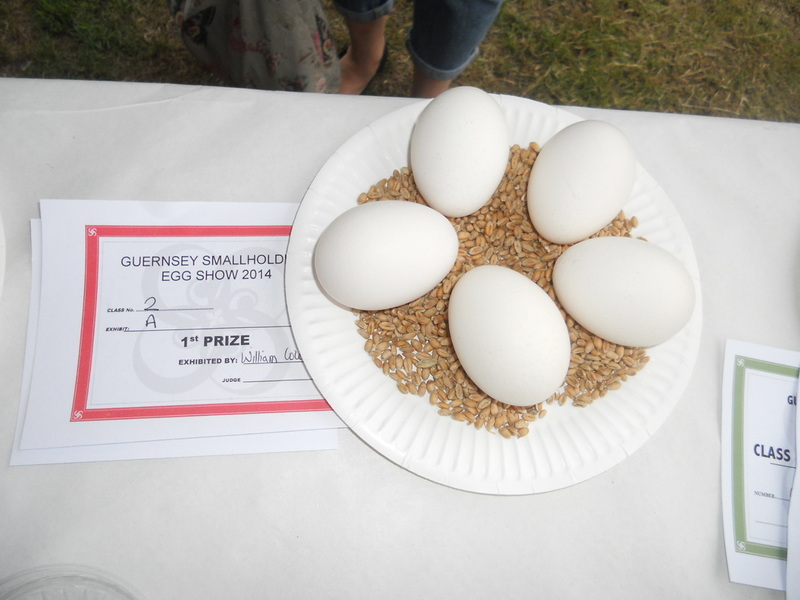 One egg may be cracked open by the judge. The names of entrants will not be available to the judge until he has made up his mind. 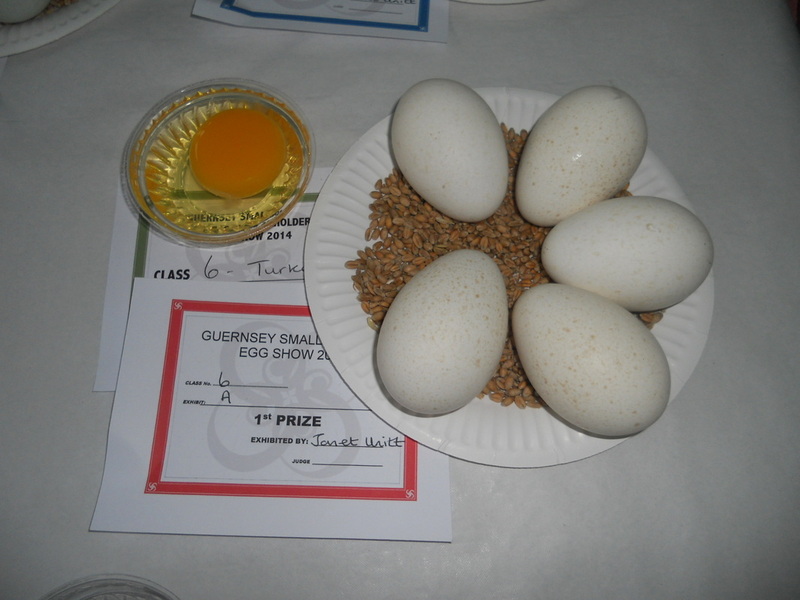 Prizes will be awarded of £5.00 first prize, £3.00 second prize and £1.00 third prize. 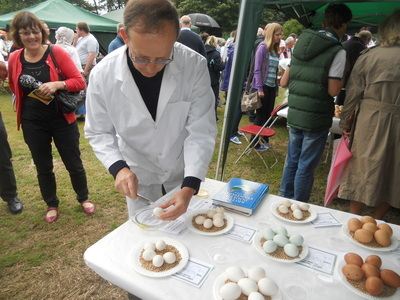 If you wish to retrieve your eggs after the show, this can be done during the event, or at the above address the following day. 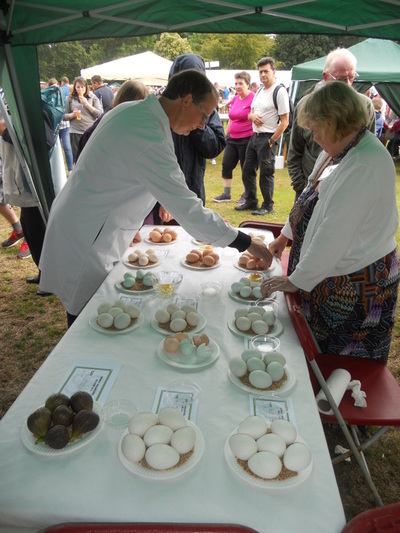 The judge will be looking for eggs that are a nice "egg" shape, uniform in colour and size. They should be smooth, without pimples or blemishes, and should look fresh with a healthy bloom. He will crack open one egg from each of the better entries, looking for quality in the shell and contents. 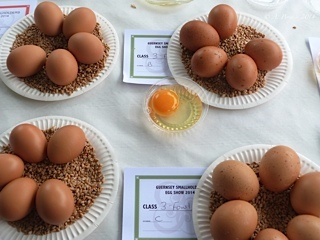 There should be a rich golden-yellow rounded yolk, sitting proudly in the centre of a thick clear albumen with a definite outline. Smashing. 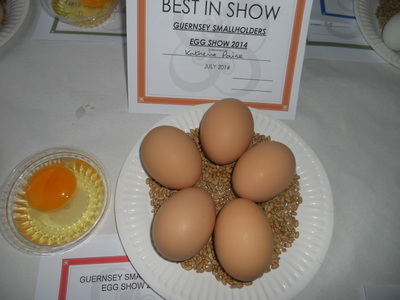 This will be the second all-island egg show held by Guernsey Smallholders, and will be repeated each year. 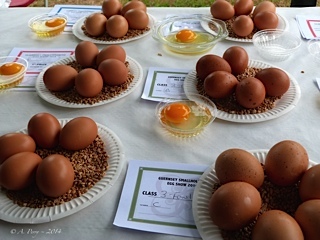 Judging is serious, but not stuffy - for example, if the judge thinks your eggs are in the wrong class, he won't disqualify, he'll judge them against the eggs in the more appropriate class. 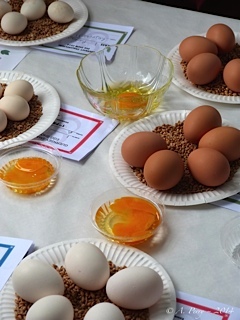 The Poultry Club of Great Britain has a set of judging criteria, which you can use as a guide for your entry - click here to read more. No matter what your experience, why not have a go? It's great fun. There were no entries in Class 7 - Six Goose eggs or Class 8 - Six Other Poultry eggs, named. 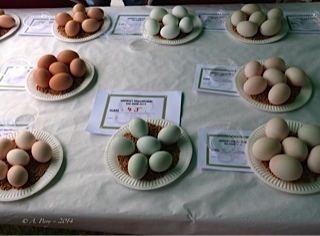 The judge reclassified two entries from Bantam to Fowl Tinted as they were larger than the standard size criterion for Bantam eggs, and two from Fowl Tinted to Fowl Brown. 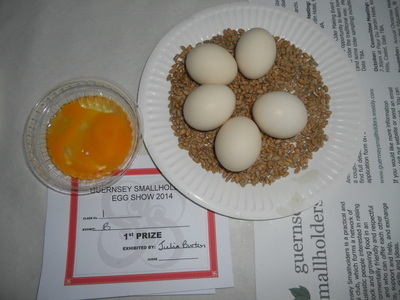 Best Eggs in Show - Katherine Paine for her winning entry in Class 4.
the albumen was generally very good, i.e. clear with no signs of blood spots, just a couple were a little cloudy. 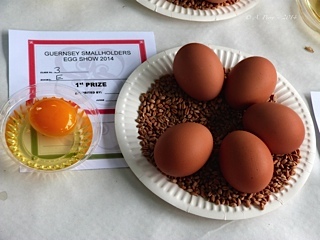 Thanks to the exhibitors for their support and a particular well done to the first prize winners of the Tinted and Brown egg classes. 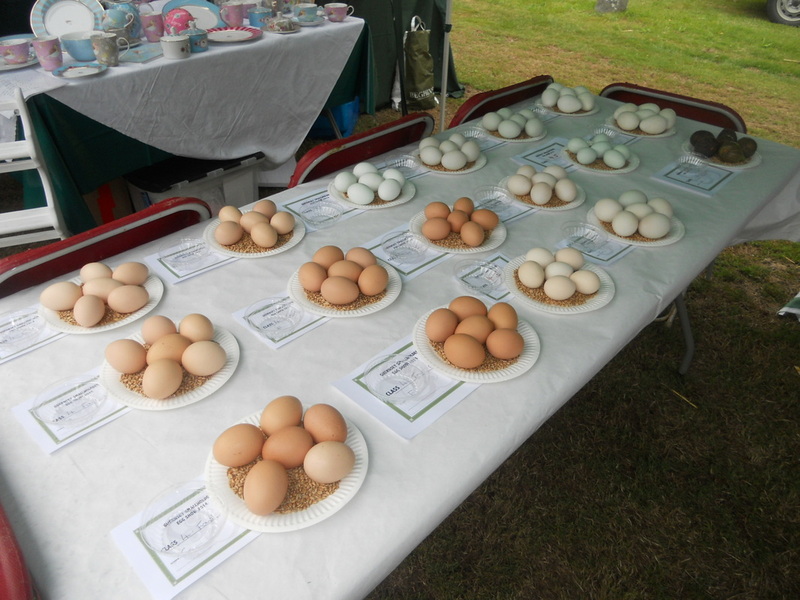 They were clear winners in their classes.